The Norwegian Film Institute has allocated €452,000 (NOK 4.3 million) production support to for nine short film projects with subjects from periwinkles to Polar bears and several corners of human relationship. "We received 51 applications for from all over the country, and I wish there was money to support more than the nine we chose,” said the institute’s new short film consultant, Lars Daniel Krutzkoff Jacobsen. The Devil's Tune (Fanitullen), from Klipp og Lim Media and director Lars Hegdal – national romance, heavy metal and blooduy slapstick are mixed to tell the story of how forfeited love unleashes the darkest powers of man and nature (NOK 750,000). Ivo (Ivo), from Original Film and director Christina Lande - a 64-year-old teacher has never quite found her place in the village, and it does not become easier when her dog bites one of the schoolchildren, and the villagers want it killed (NOK 700,000). 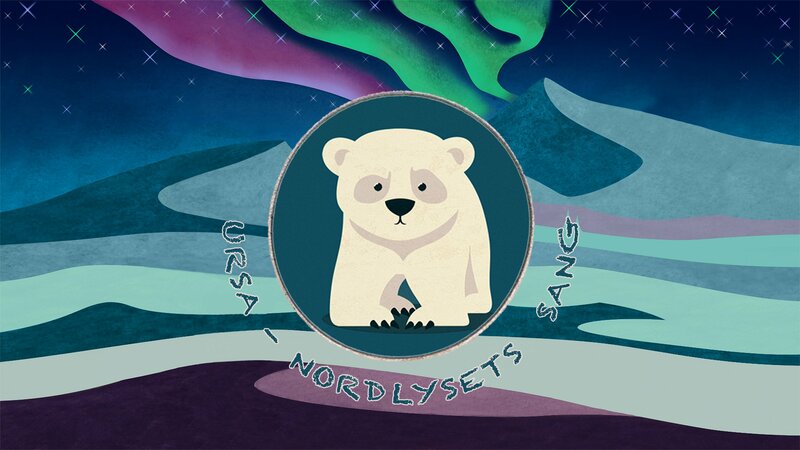 Ursa - Song of the Northern Lights (Ursa – Nordlysets sang), from Ulvenfilm and director Natalia Malykhina – the little Polar bear Ursa, who walks through snowstorms, the ice-cold tundra and sharp ice rugs in hopes of finding his mother, helped by the Northern lights and other Arctic animals (NOK 620,000). Bearing Wall (Veggen i huset), from Blinkfilm and director Lars Skorpen - a five-part short about how a family – a father and two children - handles the sorrow when the mother dies and how the children Lisa and Axel are searching for their father in the void of mom (NOK 550,000). Wimbledon, from Barbosa Film and director Ernst De Geer - as Samir feels unfairly treated in a bowling alley, he chooses to handle the problem in an unnecessarily dramatic way in this short about changing expectations of the human role in society (NOK 480,000). Beach Snails (Strandsnegler), from Hammerhai and director Jan Otto Ertesvåg – an insight into the life of periwinkles: small creatures meet challenges with life as the reward, parallel to people's nightmare and dream of aproper living (NOK 400,000). Everything I Write is True (Alt jeg skriver er sant), from Filmavdelingen and director Alexander Kristiansen – Anita’s encounter with three different men, who try to exploit her through their powerful positions - or who is trying to exploit whom (NOK 300,000). When the Woman Came to Earth (Da kvinnen kom til verden), from Bjørn Braathen Production and director Anne Kjersti Bjørn – two young feminists use their own generation jargon, making women thinkers as Simone de Beauvoir and the mythical Eve to react (NOK 250,000). Hold Around Me (Hold rundt meg), from Grainy Films and director Agnese Laizane – based on the community's view of foreigners, Elise fears her relationship with Kareem is doomed to end. But Kareem has other thoughts about it (NOK 203,000).